Michigan Auto Law has won another trial. Our Washtenaw County car accident case was against our client’s insurance company, USAA, as well as the at-fault driver. The accident occurred on Ecorse Road in Ypsilanti, when the at-fault driver pulled out from a side-street and crashed into our client. Our client sustained serious personal injuries including herniated discs in his neck and lower back that both required surgery, and a closed-head injury. Michigan Auto Law prevailed on the issue at hand, causation, meaning whether the plaintiff’s injuries were caused by the car accident. Since the jury agreed the car accident did cause the personal injuries, USAA was ordered to pay what they were legally required to pay in the first place – the total of the plaintiff’s policy limits and all of his No-Fault benefits. USAA was our client’s insurer, and was legally responsible for paying our client’s No-Fault benefits, including his accident related medical bills. But — as many insurance companies do following a car accident — USAA terminated his benefits prematurely, refusing to pay for two surgeries to his neck and back as well as for his closed-head injury treatment. USAA based their refusal on insurance doctor (also called “independent” medical examiner or IME) reports. 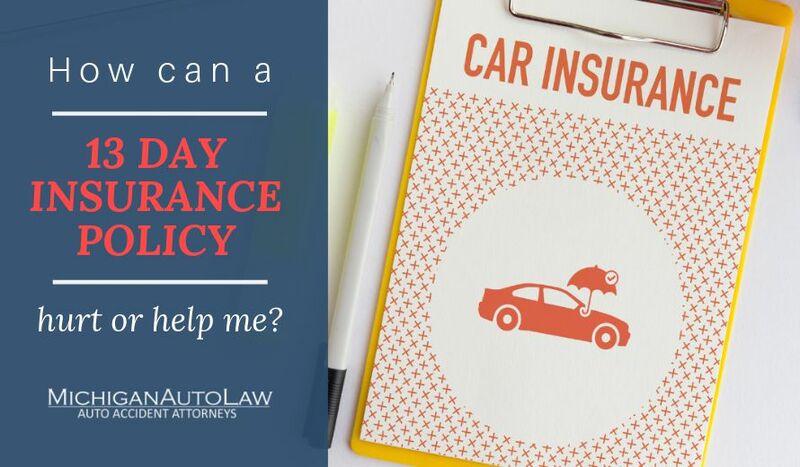 The at-fault driver only had $25,000 in auto insurance coverage, but our client’s damages greatly exceeded that amount. Fortunately, our client had purchased underinsured motorist coverage (UIM) from USAA. UIM provides extra insurance when the other driver doesn’t have enough insurance to fully compensate you in the event of a crash. But in this case, the underinsured motorist coverage did not protect our client. Again, USAA refused to pay those benefits, forcing their own customer to sue them. Unfortunately, what this insurance company did to our client is a common practice. Car accident victims are routinely “cut off” by their own insurance companies following IME appointments, where the medical examiner claims the plaintiff is not seriously injured after a 10-minute examination. Our attorneys have not only garnered many multi-million dollar verdicts and settlements for his clients who’ve been injured in auto accidents, but we routinely go to bat for people who continue to be taken advantage of by their insurance companies, like in this case. Hopefully trials like this will help send the message to insurance companies that delaying, defending and denying benefits for No-Fault insurance that Michigan residents are legally required to purchase is unethical and must stop.